Is Marine Debris Spreading Invasive Species? March 2, 2017 - If you ask a gardener what a weed is, the answer is likely to be any plant growing where they don’t want it. Invasive species, be they plant, animal, or insect, are much more harmful than an unwanted plant in a well-tended garden. Invasive species are interlopers that muscle out natives by out competing them for resources, like food and shelter. Left unchecked, the invaders can lead to the extinction of native plants and animals. In the marine environment, this can result in damaging local economies and fundamental disruptions of coastal and Great Lakes wildlife habits. 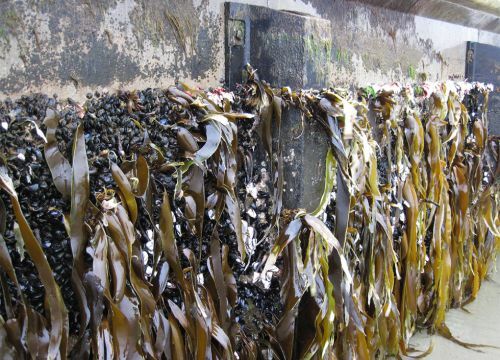 Invasive species can colonize a new area via the ballast water of oceangoing ships, intentional and accidental releases of aquaculture species, aquarium specimens or bait, and marine debris. Growing concern about increasing amounts of marine debris in our oceans has led scientists to research the potential for invasive species to hitch rides on debris and carry them to new areas across the globe. NOAA’s Marine Debris Program has a new report exploring the subject. Read “Marine Debris as a Potential Pathway for Invasive Species” for detailed information.